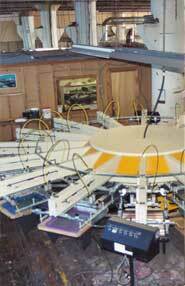 Fusion Graphics has over 30 years of silk screen experience. Founded in 1984., we have grown into a premier print shop with a capacity of over 50,000 units per week. Our company is based on quality, high end printing at reasonable prices. We have overstocked items (blanks and printed) at discounted prices. Call us to find out about winter specials that save you hundreds of dollars!